Paige McNamara as Janis Joplin. Photo by Curtis Brown. The Ivoryton Playhouse will present the 2014 Tony Award-nominated 2013 Broadway Musical A Night With Janis Joplin, written and directed by Randy Johnson, from May 30 to June 24, 2018. Born in Port Arthur, TX in 1943, Janis Lyn Joplin challenged racial and sexual stereotypes and created a sound and a style that has become legendary. She exploded onto the music scene in 1967 and, almost overnight, became the queen of rock and roll. The unmistakable voice, filled with raw emotion and tinged with more than a touch of Southern Comfort made her a must-see headliner from Monterey to Woodstock Her unique sound, however, was originally created as a result of her love for some of the greatest African-American singers of all time. 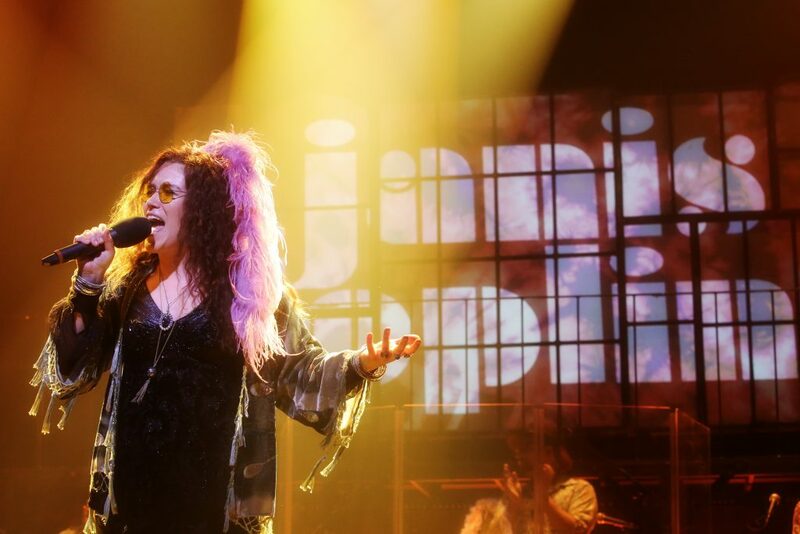 Now, theatergoers can share an evening with the Queen of Rock and Roll and her musical influences in A Night with Janis Joplin. A Night with Janis Joplin opens at the Ivoryton Playhouse on May 30th and runs through June 24th, 2018. Original direction by Randy Johnson, original set design by Brian Prather, original lighting design by Ryan O’Gara, original projections by Darrel Maloney, original costume designs by Amy Clark and original wig designs by Leah Loukas. This production is co-directed by Tyler Rhodes. Musical Director is Michael Morris. After June 1st, tickets are $55 for adults and $50 for seniors. (Group rates are available by calling the box office for information.) The Playhouse is located at 103 Main Street in Ivoryton. Members of the press are welcome after May 31st. Enjoy some great theatre this summer! After June 1, 2018 single ticket prices for A Night with Janis Joplin, Grease, A Chorus Line and Once will be: $55 adult / $50 senior / $25 student / $20 children 12 and under. 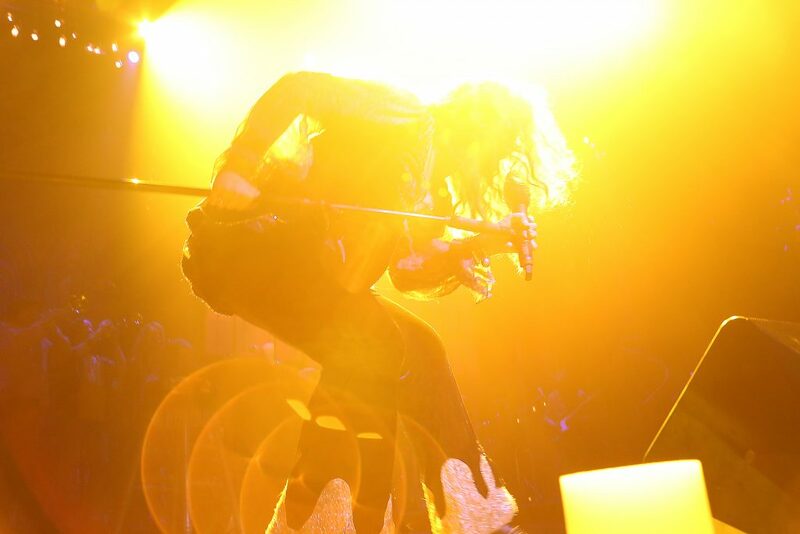 From Broadway to Ivoryton, come share an evening with the Queen of Rock and Roll. Featuring such unforgettable songs as “Me and Bobby McGee,” “Piece of My Heart,” “Mercedes Benz,” “Cry Baby” and “Summertime,” A NIGHT WITH JANIS JOPLIN, is a musical journey celebrating Janis and her biggest musical influences—Aretha Franklin, Etta James, Odetta, Nina Simone and Bessie Smith. It’s the original high-school musical, featuring all the unforgettable songs from the hit movie including “You’re The One That I Want”, “Summer Nights”, “Hopelessly Devoted To You”, “Greased Lightnin” and many more. Dust off your leather jackets, pull on your bobby-socks and take a trip to a simpler time as Danny and Sandy fall in love all over again. Winner of eight 2012 Tony Awards® including Best Musical, ONCE is a truly original theatrical experience. Featuring an impressive ensemble of actor/musicians who play their own instruments onstage, ONCE tells the enchanting tale of a Dublin street musician who’s about to give up on his dream when a beautiful young woman takes a sudden interest in his haunting love songs. It’s an unforgettable story about going for your dreams and the power of music to connect us all. Set in Alabama in 1962, this stunning new play about a group of mothers and daughters takes us from church picnics and summer camp to the secrets and hypocrisy that lie just beneath the surface. A world premiere.